Being an avid traveler, nature lover and mountaineer, my experience of being close to the elements gave me an insight and perspective that can only be understood when one is willing to step out of the comfort of their home and surroundings and away from dependency on technology for surviving. 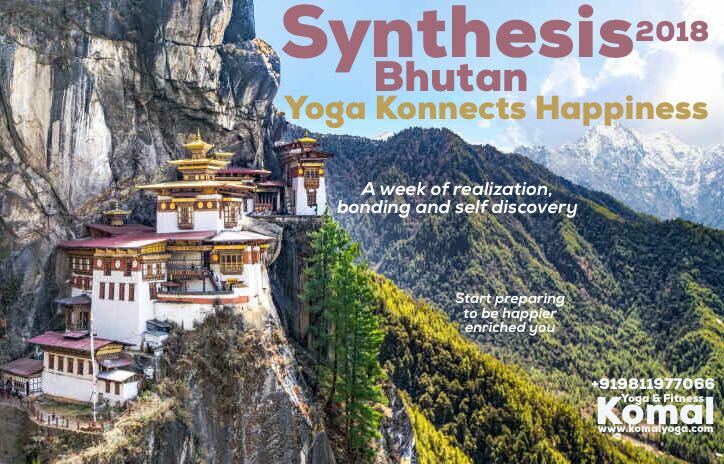 I named my outdoor programs ‘SYNTHESIS’ which means an amalgamation of Yoga, meditation, travel, trekking, adventure and detox. I organize several outdoor Yoga retreats and Adventure trips to help people break the monotony of regular life, and also, to challenge the body physically, mentally and spiritually. “Prepare yourself to spend a week of Happiness in sync with nature at the Happiest place on planet earth ! Dates : 28th May to 03rd June 2018.